From October 2010 all new doors will have to adhere to a door u value rating of 1.8W/m2K or less. Each and every door that Just Doors UK supplies and delivers is U value compliant. Just Doors UK are dedicated to not only making sure our doors are fully U value compliant, but also our customers understand as much as they can about the new regulations. We have created this U Value section to remove confusion and promote informed decision making. The following information summarised from Building Regulations Documents L1A (New Dwellings) 2010 & L1B (Existing Dwellings) 2010. In the coming year additional pressure is going to be put on everyone to become more energy efficient. Whether this pressure comes from governmental bodies or customers just wanting to get on top of the rising energy costs, energy efficient doors will need to feature in your plans. The latest revisions to building regulations mean energy efficient doors will be made mandatory. As an imminent introduction of the U value for doors means all new doors will need to have a value of 1.8W/m2K or less (the current standard for energy efficient windows). We think this is a logical step as there’s not much point in insulating your roof and walls and having ‘A’ rated windows if your door isn’t energy efficient too - heat will find the least insulated point and escape through it. 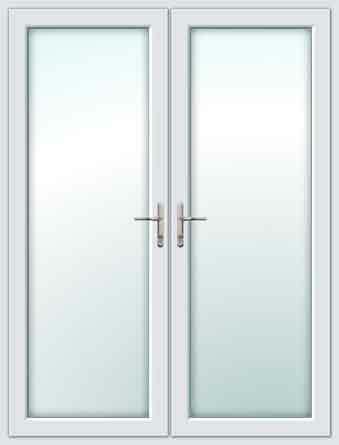 All doors supplied by Just Doors UK meet the strict new U value heat loss standards.